The First Annual Environmental Permitting Symposium was held on September 21st at the Development Resource Center from 9:30 am to 4:30 pm. 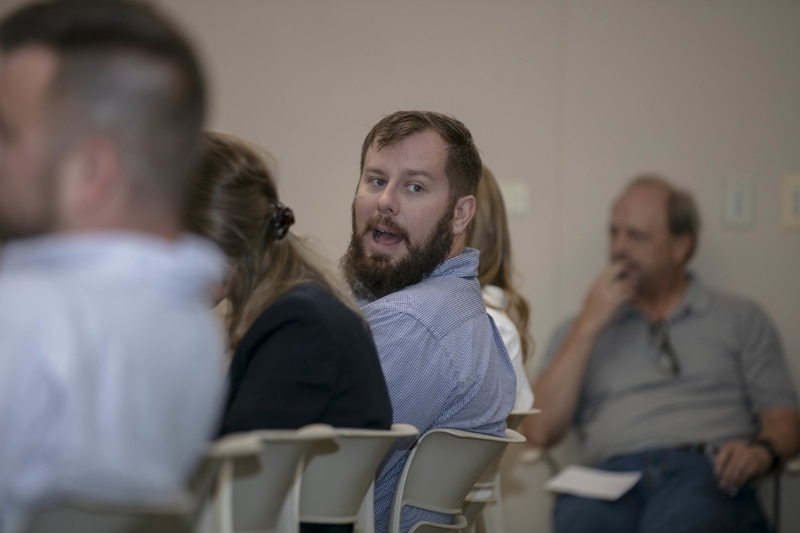 Four topics were covered by agency representatives pertaining to water permitting, mitigation, species permitting issues, and land disturbance permits. We would like to extend our sincere appreciation to the speakers and attendees of this very successful first annual Environmental Permitting Symposium! We had a great year and received positive feedback. If you are interested in the content delivered at the Symposium, click the links below. Crystal Bishop with the Hamilton County Water Quality Program was our Symposium Sponsor this year. Crystal discussed the processes involved with obtaining a Land Disturbance Permit, detailing application best practices and plan review. Jason Dees, TDEC, Aric Payne (pictured) with the USACE, and Ben Bean, TVA discussed the importance of the agency correspondence, early consultation, and the steps therein. Field examples of best practices and what not to do were covered in these sessions. Meghan Ploch, TDEC and Casey Ehorn, USACE discussed the commonalities and differences between state and federal mitigation projects and regulations. The application and consultation processes, as well as best practices, were discussed. The USFWS protects Tennessee's rarest species. Dustin Boles with the USFWS gave a detailed overview about how this is done on federal and non-federal projects. He also discussed the formal and informal consultation processes involved with the ESA. 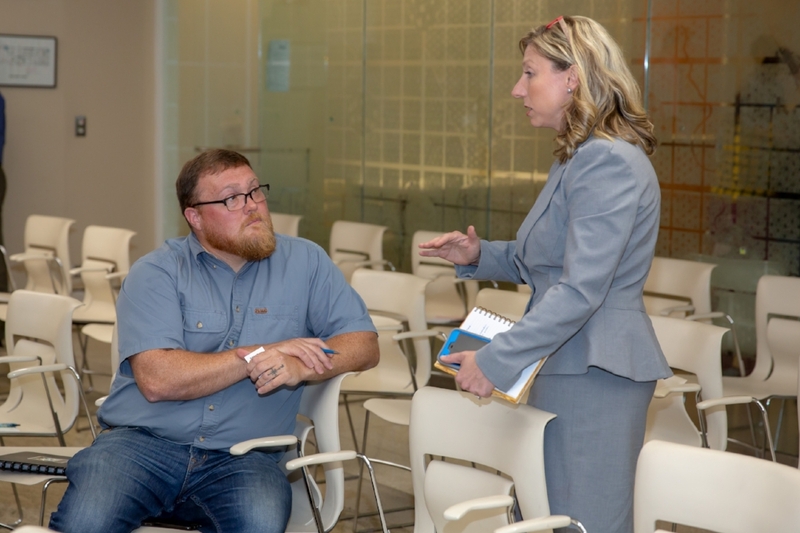 Crystal Bishop and Wyn Miller (pictured) discussed land disturbance and landscape design best practices and the types of permits related to them. The application and consultation processes, as well as best practices, were discussed. We are interested in teaming with other organizations to make this an even better event in 2019. Follow-up Lunch and Learns about upcoming regulatory changes are currently underway. If you are interested in hosting a Lunch and Learn, please contact us. Similarly, let us know if you are interested in sponsoring or assisting with the 2019 Environmental Permitting Symposium. 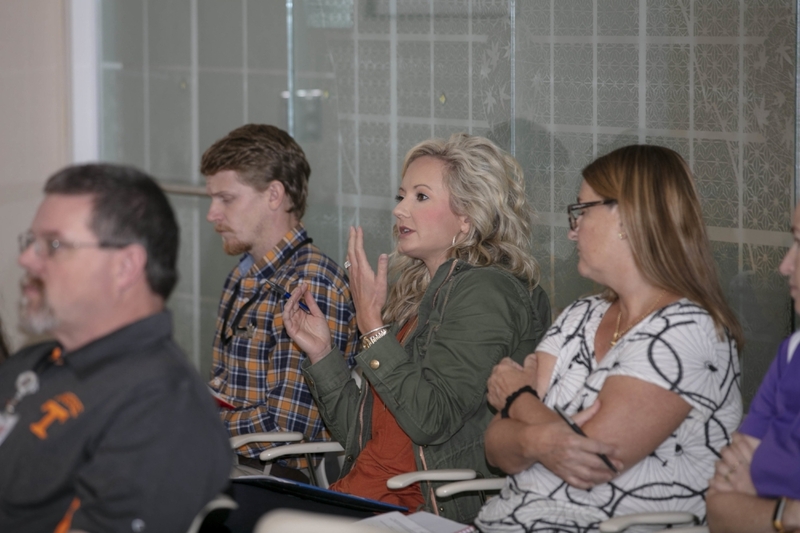 In order to make next year’s conference even more successful, we encourage you fill out this post-event survey. We thank you in advance for your comments and suggestions. We will keep you updated and look forward to seeing you at upcoming events!